Here at Pet's Choice we have the Vetario Intensive Care Unit (ICU). This equipment is designed to give sick and injured animals the environment they need to make the quickest and safest recovery. We also use the ICU for our patients who come out of surgery to keep them warm while recovering. 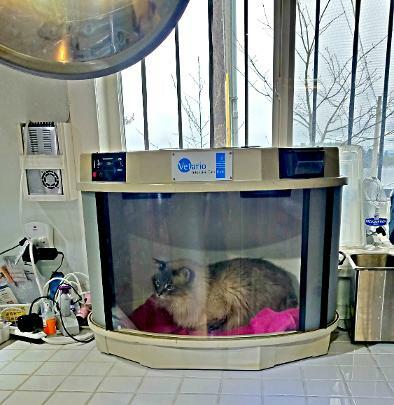 For our patients that are too large for the ICU warmer we make a bed and we place our "Hot dog" heating unit down for them to keep warm.